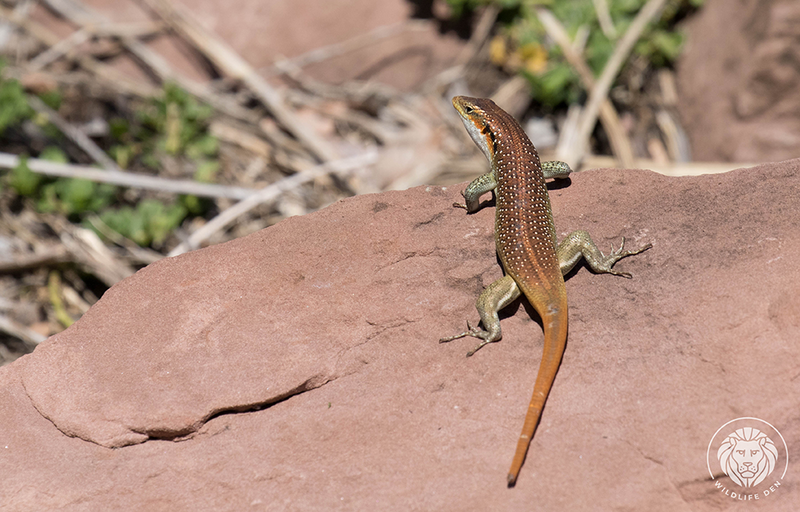 The Rainbow Skink or Rainbow Mabuya (Afrikaans name Reenboog Gladde Akkedis), is found in the North Eastern parts of Southern Africa. As cold blooded reptiles they need the sun and will be seen basking at right angles to the sun so that their entire body can face the sun. 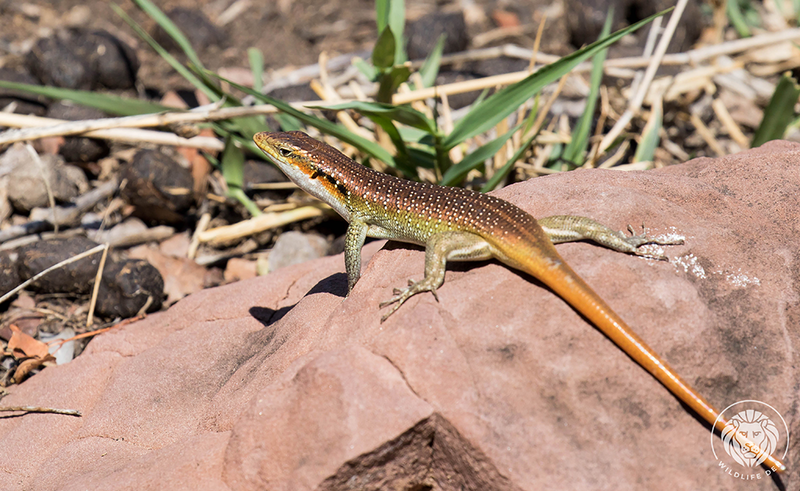 Rainbow Skinks can live for about six years, they feed mainly on insects but have been known to eat smaller lizards as well. The Males are a beautiful, pearly, bronze colour whilst the females and juveniles have a dark striped body with an electric blue tail. We observed them in the Kruger National Park.